The Energy Charter is an international organisation whose member countries have signed a binding agreement to ensure the protection of investments in the energy sector - the capital intensive sector of the economy. Jozef Badida, energy analyst from epv.sk, have discussed with the Secretary General of the Energy Charter, Dr Urban Rusnák the issues of globalisation of the Energy Charter Treaty, including guarantees provided to investors vis-à-vis unexpected decisions of governments, the 2009 gas crisis, which in his opinion could have been avoided, and recent Early Warning Mechanism initiatives for energy crises, such as the Russian-Ukrainian conflict over gas prices. Originally, the Energy Charter Treaty aimed at protecting European investments in the countries of the former USSR, but a shift away from OECD countries and the effort to make the organisation more attractive to non-European countries may evoke a failure of the ‘European’ path. However, Dr Rusnák does not agree with that, and recalls the recent decision of the Arbitration Court obliging Russia to pay compensation in the historic amount of 50 billion USD for the expropriation of Khodorkovsky's Yukos. The Treaty is currently being used by investors against European countries themselves, in what Dr Rusnák considers as “a proof that the system is set up in a fair way and does not favour the rich against the poor”. He adds that “without investment guarantees, such as the provisions of the Treaty, investors will calculate with higher risk factors”. Certainly interesting is also his statement that during the gas crisis in January 2009 there was a "clear breach of transit obligations under the Treaty,” but "the gas flow interruption itself could have certainly been prevented." Furthermore, Dr Rusnák pointed out that "none of the parties concerned, including Slovakia or Bulgaria which experienced the cut-off of gas supply for two weeks, had not exercised their rights under the Treaty, whether directly during the crisis or for a compensation of the caused losses." It is now possible to solve this type of conflict through the Early Warning Mechanism under the Energy Charter. 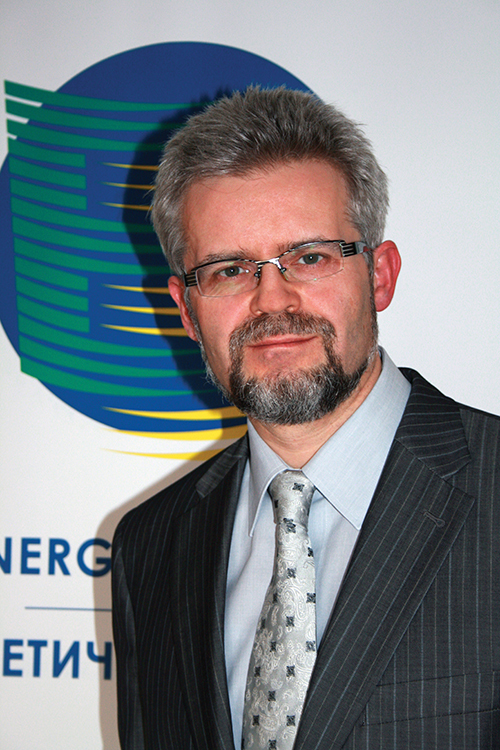 Dr Rusnák, your efforts to modernise and internationalise the Energy Charter, an organisation that contributes to the protection of investments and of which you are the Secretary General, led to the adoption of a political declaration by 75 countries and communities (EU, EURATOM, ECOWAS) at the end of May. Is the Energy Charter going to be different from now on? Could you describe to our readers the main reasons for and substance of these changes? The political declaration called the International Energy Charter adopted on May 20, 2015 in The Hague complements its predecessor, the European Energy Charter of 1991. The main reasons for the changes were global energy developments, particularly how OECD countries and the former Soviet Union no longer constitute a key focus of the development of world energy. The opening of the Energy Charter Process to more countries outside Europe reflects the new situation and at the same time creates opportunities for new impulses of development for significant oil and gas producers such as Iran; for new global players, such as China; and countries that had not participated in the Process for some time, such as the United States. Over the past two years, states have negotiated a text, which while retaining all the fundamental principles of the Charter, such as non-discrimination, investment protection, countries' sovereignty over natural resources, and reliable transit of energy resources, have brought new insights on energy security, and incorporate new technologies and greater responsibility for the social-economic development of countries. The concept of energy security has been replaced with security of supply, and the new dimension of energy poverty mitigation as a condition of access to modern energy sources has been added. In terms of the development of the Energy Charter, the key is a paradigm shift: instead of offering a European concept of energy cooperation rules, Member States of the Energy Charter Treaty invite other countries to participate in their creation. The adoption of a new Declaration opens up opportunities for further modernisation of our organisation. Originally, the European Energy Charter was adopted at the time of the dissolution of the Soviet block in the 1990s. It was initiated by the Western European states with a view of ensuring protection of their investments in this ‘opening region’. The result was an adoption of a binding Energy Charter Treaty aimed mainly at Russia, which, however, has never ratified it and in the end stopped implementing it provisionally in 2009. On the other hand, you have just adopted the International Energy Charter. Doesn’t this step represent an admission of failure of the ‘European’ way and non-fulfilment of its original vision? The reasons for the Russian decision to stop the provisional implementation of the Energy Charter Treaty in 2009 were never officially announced. However, we can surmise that one of the important motives was an attempt to protect Russia from the arbitration case in the matter of Yukos’ expropriation. The Arbitration Tribunal at the Permanent Court of Arbitration in The Hague confirmed the jurisdiction of the Treaty in this case, in spite of Russian objections that it has never ratified it. The Russian Federation has, however, unlike some other countries that have not ratified the Treaty, such as Norway or Australia, decided to implement it provisionally – until its ratification in the State Duma. The resulting compensation amount of 50 billion USD is the highest ever in the history of arbitration cases. The Russian Federation has challenged the arbitration proceedings before Dutch courts and seeks the annulment of the whole case. Until the dispute has been finalised, it is too early to assess whether the European way in the case of Russia was unsuccessful. On the other hand, there is also another interpretation of the current situation, that one of the main problems of the Treaty is that it has had ‘too great’ a success in the protection of investors. However, if one disregards the extremities, we can see that the Energy Charter Treaty has stimulated the development of oil and gas production in the Caspian region, as well as energy cooperation and construction of pipeline connections from this region to ‘the West’, Turkey and the EU, as well as to ‘the East’ to China. In order to facilitate the interest of new countries to participate in the Process it is indispensable to successfully implement its original vision in the Eurasian space. You have indicated that the signing of the political declaration, i.e. the International Energy Charter, is merely the culmination of the Modernisation Phase I. So what happens next? Does an update of a binding Treaty seem feasible? There are ongoing discussions at the technical level as well as consultations among Member States on how to further develop the Process at the moment. Within the Working Groups, delegates express the changes they would like in areas such as transit rules, transparency in dispute settlements, new investment rules, energy efficiency and environmental protection in energy activities. In my view, one day it will be necessary to amend the Treaty adopted in 1994, and in some areas, such as arbitration proceedings, it currently does not reflect what Member States have in mind. In order to open the negotiations a consensus will be required, which has not yet been even put on the table for a discussion. However, a special Transit Protocol that guarantees greater certainty to exporting countries, i.e. the suppliers of energy and electricity, has yet to be concluded. The ‘Doha negotiations’ on further liberalisation of international trade under the auspices of the World Trade Organisation (WTO) have failed in a similar way. This situation thus leads to the conclusion of bilateral and regional agreements, such as the TTIP, TTP, and the EU-China Investment Agreement. Thus, are we not witnessing a kind of twilight of multilateralism? Isn’t the direction of the Energy Charter a bit against the flow? Yes, at first glance, our effort of globalisation of the Charter goes against the general tendency of seeking solutions in regional, plurilateral frameworks. However, on the other hand the globalisation of energy flows continues regardless of the preferences of trade block negotiators or geopolitical conflicts in various parts of the world. Global economic development depends on sufficiency of energy resources, and, based on existing technological solutions, the cheapest and most easily available source finds its way to the market pushing out more expensive commodities. Any efforts aimed at prescriptive management or ideological restrictions of certain technology – given interconnected global markets – lead to unexpected effects, such as increased coal consumption and limited use of gas in the electricity production in the EU, despite existing objectives of gradual decarbonisation. The trend of seeking a global solution has also achieved success in the area of addressing the climate change, which is closely linked to the energy sector. The provisions of the Energy Charter Treaty on investment protection have been used against EU countries quite unexpectedly, such as the case of Swedish Vattenfal (nuclear power plant operator) v. Germany; solar power plant owners v. the Czech Republic; and not so long ago also the case of foreign investors GDF Suez/EoN (that owned Slovak Gas Holding (SPP)) v. the Slovak Republic. Do you think these disputes could discourage other, mainly non-European countries, from acceding to the Energy Charter Treaty? This is a very correct observation and an interesting question. From the perspective of developing non-European countries, is the use of the Treaty to protect investment against EU Member States evidence of the fact that the system is set up in a fair way and does not favour the rich against the poor? No country that receives foreign investment is not, a priori, immune to changes in its investment environment. The mechanism for investment dispute settlements is part of the vast majority of bilateral agreements on protection and promotion of investments. A state, as a sovereign over its territory, always has more options to influence investors by adjusting its laws and rules. Investment protection and arbitration cases create equal chances for the compensation of losses that investors may incur due to government decisions. Out of all economic activities, the energy sector has the longest period of capital return and usually requires very high up-front investment. Energy objects, such as oil fields, power plants, gas pipelines or transit and distribution networks are built to last for decades. Without investment guarantees, such as the provisions of the Treaty, investors will calculate with higher risk factors, which represent differences of hundreds of millions EUR in investment projects that more often than not amount to billions. A stable and predictable investment framework has proved its long-term benefits. Also interesting is the question of the January 2009 gas crisis, when the gas was not flowing to countries like Bulgaria or Slovakia due to the Russia-Ukraine dispute. How could this occur if all three countries were at that time signatories of the Treaty and thus obliged to guarantee uninterrupted transit of gas further to Europe? Wasn’t this legally binding document breached? Could the gas flow interruptions have been prevented? Shouldn’t the Brussels-based Energy Charter Secretariat have been more active? Yes, at that time, there was a clear breach of transit obligations under the Treaty. None of the parties concerned, however, exercised its rights stemming from the Treaty, whether directly during the crisis or for the compensation of losses incurred according to the Article 27 of the Treaty. The gas flow interruptions could have been prevented with a timely use of existing legal mechanisms, for instance the Article 7.7 of the Treaty, which allows for establishment of a conciliator to resolve transit disputes. At that time, political solutions were preferred, which then formed the basis for an extremely high gas price for Ukraine. The Energy Charter Secretariat had only limited options to intervene without a direct engagement of the parties concerned. It seems that this negative experience was also a learning opportunity, and during the latest escalation of the Russia-Ukraine dispute last winter you initiated the establishment of an Early Warning Mechanism under the Energy Charter. What has this initiative brought? We now have a mechanism that allows the Energy Charter Signatories to give an early signal of a threat to energy security and strengthen the position of the Secretary General in such a situation. This instrument, however, is voluntary, as the Contracting Parties did not agree on its legally binding nature. Unlike a similar instrument within the framework of EU-Russia dialogue, this mechanism is universally applicable to all Charter Signatories, for instance even in North Africa, Central Asia or the Caucasus. Concluding this interview, I would like to go back to the Modernisation Process of the Energy Charter, since The Hague Conference was also attended by the Vice-President of the European Commission, Mr Šefčovič, who is the face of the EU’s Energy Union. Is there any connection between these two processes? The Energy Union is a strategy primarily aimed at ensuring action within the EU, creating efficient energy markets and ensuring energy security. The Energy Charter creates a legal basis for a partnership with countries outside of the EU that share the same legal standard with members of the EU – The Energy Charter Treaty. The EU should be more attentive to the interests of countries exporting oil and gas, which for the coming decades will be key energy sources for the transport industry and the economy in Europe. In addition to the priority solutions to support the EU’s internal market, in my view it is necessary to build partnerships with exporters, even in the form of safeguarding minimum guaranteed volumes for new investment projects. Today, after a recent significant price decrease, major energy suppliers face a dilemma of how much and where to invest so that the EU will have enough resources in 15-20 years to come. Several investment decisions are being postponed or cancelled due to long-term unclear oil and gas demand perspectives of the EU, in view of ambitious objectives for the decarbonisation of the economy. 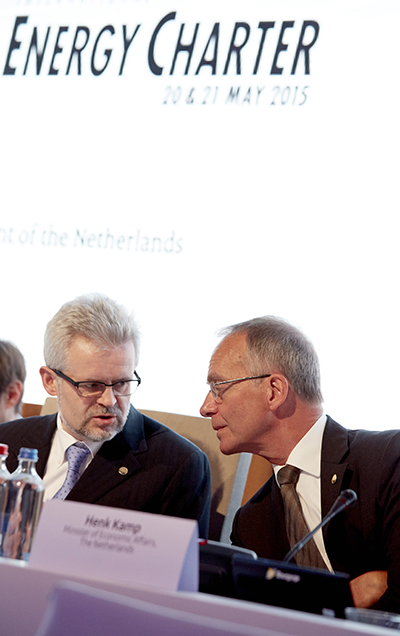 became Secretary General of the Energy Charter Secretariat in January 2012. He graduated from the Moscow Institute of Oil and Gas in 1990 with an M.Sc. and received his Ph.D. from the Ankara University Institute of Social Sciences in 1998. 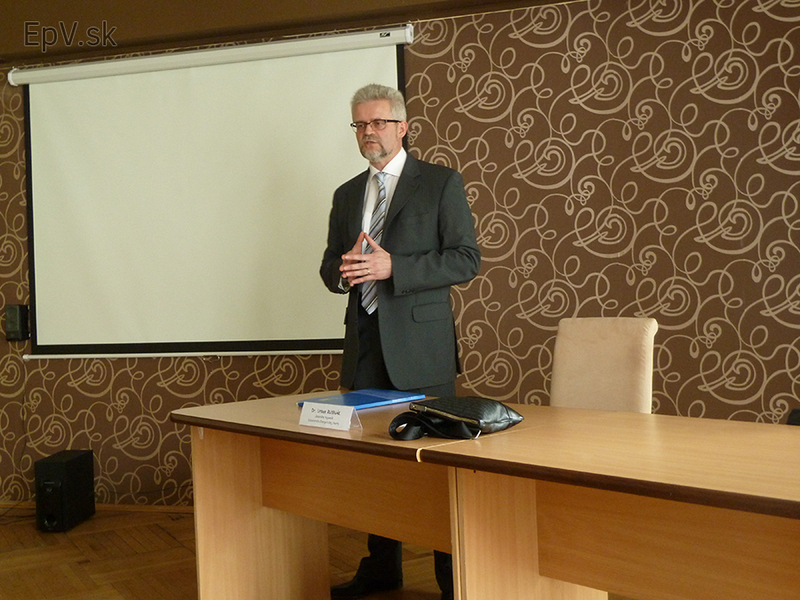 Dr Rusnák also holds an Honoris Causa doctorate from the Kiev Slavonic University since 2009. Prior to his appointment with the Energy Charter Secretariat, Dr Rusnák worked at the Ministry of Foreign Affairs of the Slovak Republic and was the Leader of the Project for Slovakia's External Energy Security. Before that, he was Extraordinary and Plenipotentiary Ambassador of the Slovak Republic to Ukraine (2005-2009), Head of the MFA Political Analysis Division (2003-2005), Deputy Head of Mission at the Embassy of the Slovak Republic in Turkey (1994-1998) and MFA Desk Officer for South Caucasus, Central Asia, CIS and South East Europe.